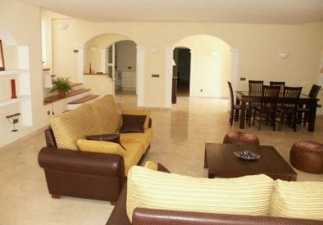 Andratx luxury rental villa with independent apartment, making it perfect for shared holidays with family or friends. 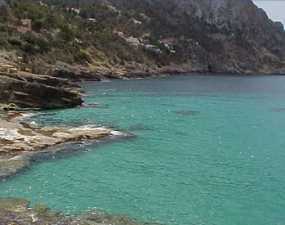 Located in Andratx, in the South of Mallorca, the rental has a direct access to a beach. 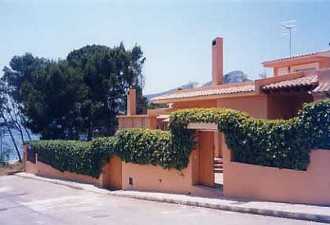 This Andratx villa and apartment are available to rent separately or together. 2018 -: Good availability.. 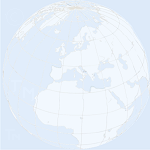 If your dates don't match, please use the links to the right of this page for other Mallorca properties. 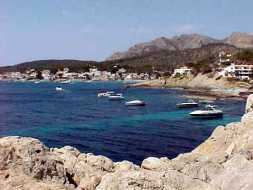 This stunning and quality rental proper has views over Sant Elm (Andratx) and in addition to its own private pool, it has direct access to a small cove with sand and rocks. 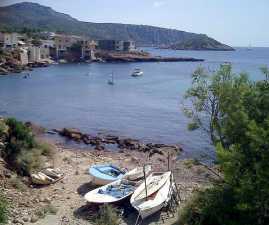 The larger sandy beach of Sant Elm is just a 5 minutes walk away. 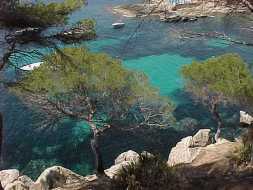 There is a garage for the hire car, but once here, there is little reason for going anywhere else! 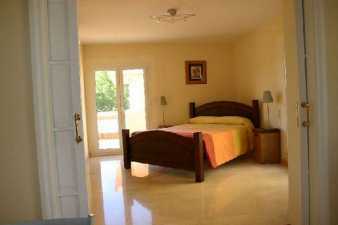 The air conditioned 3 bedroom rental villa is built and furnished to a luxurious standard. 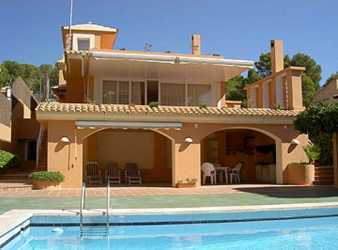 Large patio doors open out from the marble floored living room onto terraces that afford views over the pool and Andratx (Sant Elm). 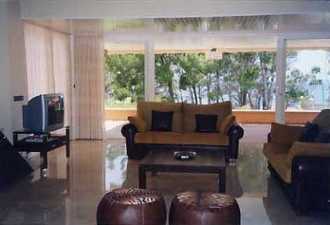 The large living room has a three piece suit set around a coffee table and imposing fireplace, with a satellite TV. 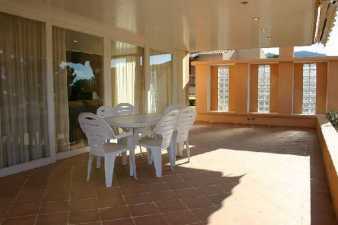 The dining area is set for 6, and arches lead off to the bedrooms and the kitchen. 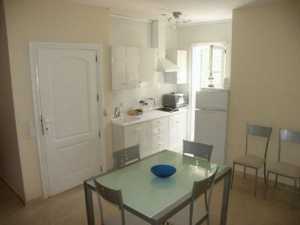 The kitchen is fully equipped with hob, oven, extractor, fridge/freezer, washing machine and dryer and microwave. 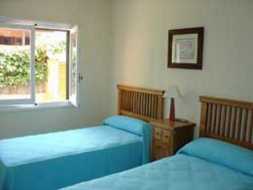 The three bedrooms comprise a double with ensuite bathroom, and two twins that share a bathroom. 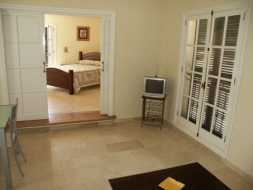 The one bedroom rental apartment has a separate entrance to the villa. 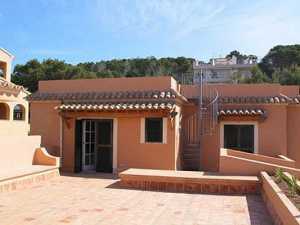 It's large terrace is perfect for relaxing, with views over Sant Elm. 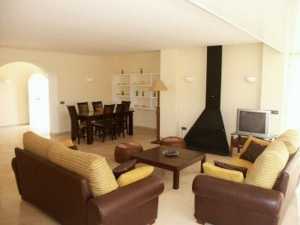 The tiled and air conditioned living area has a sofa bed (sleeps and extra 2 people), a satellite TV and a dining table for 4. 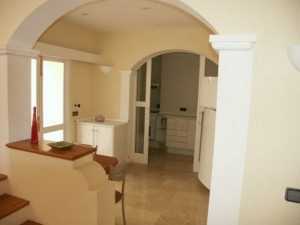 The kitchen is set in a bright alcove off the living area and is equipped with a hob, oven, extractor fan, fridge/freeze and microwave. 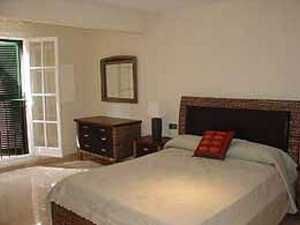 The bedroom has a large double bed with patio doors that open onto the terrace, and a quality bathroom. 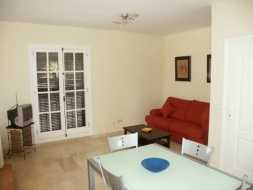 The house and the apartment are available for rental separately or together. 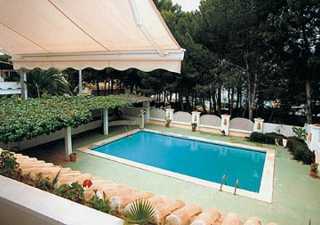 The price includes water, electricity, delivery of towels and bed linen, cleaning of the swimming pool, and cleaning of the property on the day of departure.